This map shows lands awarded to settlers under the 17th & 19th articles of a treaty with the Cherokee Indians signed July 19, 1866, and lands that were sold. 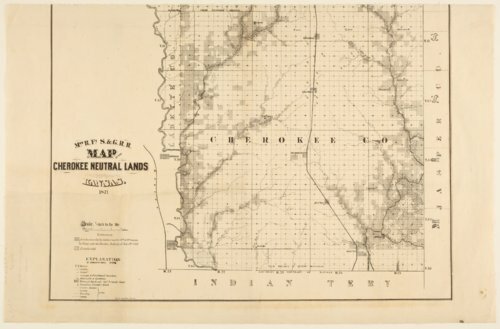 The lands were located in Cherokee, Crawford and Bourbon Counties, Kansas. The map was compiled by the Missouri River, Fort Scott and Gulf Railroad.